Easy to do, Fun to give. 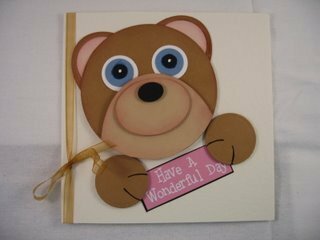 A simple Teddy Bear Card...sure to delight younger family members. 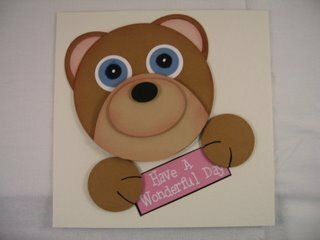 We have covered lots of different ideas in the Novelty Cards section of the website and this Teddy Bear Card is another "Easy To Make" card. 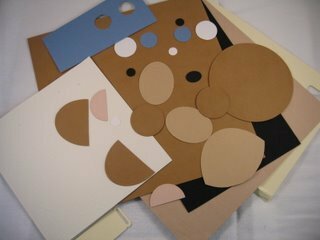 You need some punched, or die cut, circles and ovals, in several different sizes. 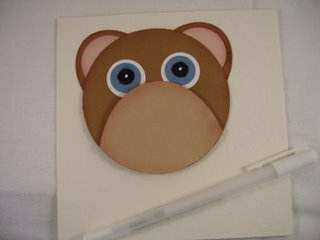 Choose coloured card, in whatever colour you want your Teddy Bear to be, and an ink pad to ink the edges of each piece. I chose to keep mine in the traditional colours, with some pale pink for the inside of the ears, and pale blue for the eyes. You need to make sure that all your shapes are relative in size to each other. Inking all the edges of your shapes adds definition. Cut the pink circle in half and place the pieces onto two of your circles. Attach these behind the largest circle as shown in the picture. Take a large oval and fit it part way across the head and round off the bottom edge to the shape of the head. This is the muzzle of the bear. Inking the edges makes it more prominent from the rest of the head. With the white, blue and black circles in decreasing sizes, build up the eyes. Glue in place and with a white gel pen add a white dot to the centre of each eye. It just gives them expression. 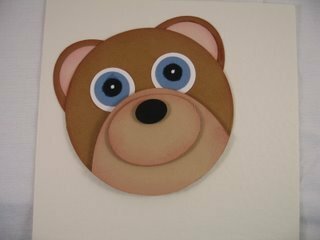 Add a smaller oval to the muzzle, and add an even smaller oval in black for the bears nose. 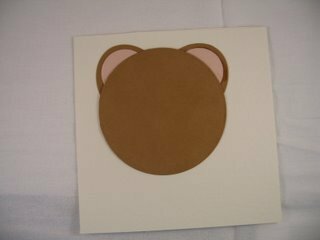 And to finish your Teddy Bear Card just add the sentiment of your choice and add a circle to each side for the paws. Hand draw some lines to seperate the toes. 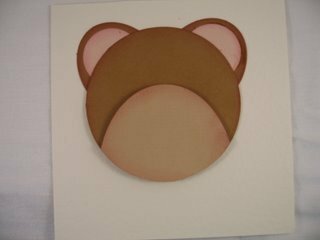 You can add whatever embellishments you want and the card is suitable for boy or girl. There are many things you can do with a simple circle punch, and we all have them in our stash. Or maybe you have some die cuts and don't put them to some use. There are some quick and novel ideas for you to try, just get your imagination going and get the kids involved too.